Joomla extensions developed by HotThemes are modules and plugins used to extend the features core features of your Joomla site. The real power of Joomla is in their extensions. Using Joomla extensions you can extend the possibilities of this CMS and make it appropriate for any website purpose that you can imagine. There are thousands of Joomla extensions available in Extensions Directory. Therefore, choosing Joomla as CMS that powers your website is a correct decision. We developed 24 Joomla extensions so far. We are proud of our contribution to the Joomla community. With Joomla template club membership, you will get an instant access to all our Joomla products, including extensions and templates. We also have a collection of free Joomla extensions that you can download from our site for free (you need to register a free account to get download access). 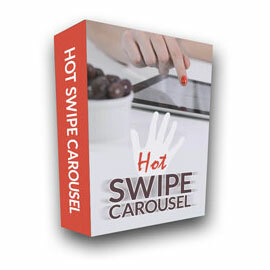 Hot Swipe Carousel rotates slides that may contain any HTML content (images, text, etc.) and it allows users to change slides by dragging them on the screen to the left or to the right. You probably noticed that many modern websites (especially on portfolio and corporate websites) contains a block with several numbers. 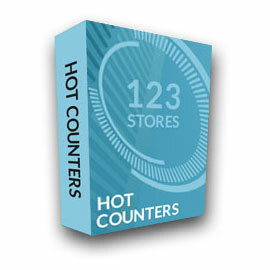 These numbers give some facts about the company to the visitors. 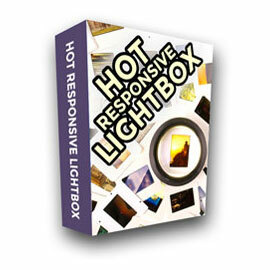 Requirements of modern web design let us create a new, responsive and touch-friendly version of Lightbox module. It's works similarly as the old module, but the code is written from start. 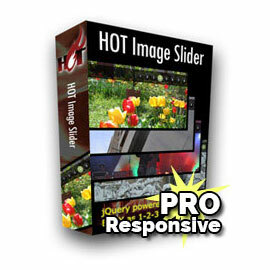 Hot Image Slider Pro is a premium version of Hot Image Slider with responsive features and many enhancements of the original version. It includes all features well-known from the free version and more. Hot Film tape shows multiple slides on screen. The slides can contain any HTML content. Depending of the available screen space, this module automatically shows less or more slides at the same time. Regardless of the number of slides that you have, it rotates them in the same direction all the time (endless carousel). This module has responsive features. It can have a fixed width or occupy the full width of the screen. 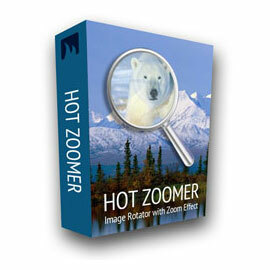 Hot Zoomer module makes slideshows of selected images using famous Ken Burns effect. It allows to zoom in/out details of the images. The effect itself is not easy to configure. However, we have made the module's control panel user friendly. Modern websites often use free maps from Google to show where the company is located or how to find the company's offices. Travel websites can use maps to show destinations they offer for vacation trips. 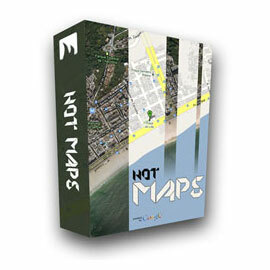 You can use Hot Maps plugin and module to insert Google Maps easier and faster. 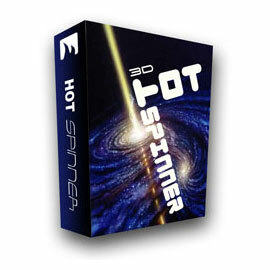 Hot Spinner rotates images around a circle in 3D. In the center of the circle, there's an info box that shows relevant content for each image in the rotation. You can also control rotation with mouse moves. This is 100% based on jQuery. You can enter content for the module into ten available "content slots". Each slot allows you to select rotating and static images. 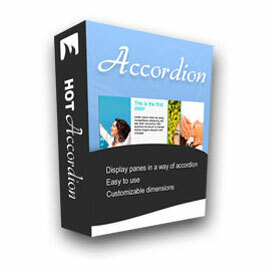 Hot Accordion shows several slides with text and images, one above the other, allowing users to browse through the slides by simple mouse over or mouse click. It's an attractive way to show the most important messages and breaking news on the home page of your website. Entire slide can be linked. This module allows web masters to add some content that stands out from the regular content of site. It can be done easily and efficiently. The content units (called "slots") can be linked to the existing articles or external links. You have full control over the module dimensions and module elements dimensions. 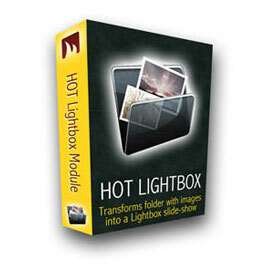 Hot Lightbox allows insertion of series of images located in any directory on the server. This module automatically creates the thumbnails from your images, as per given parameters and save them in a subdirectory of your images directory. 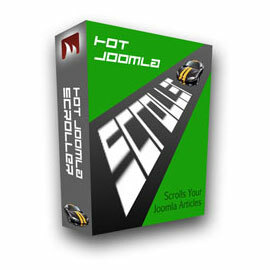 Hot Scroller is a simple module that shows Joomla articles in a form of a news ticker. You can select a category, section or single articles that would be included in the scroller. Hot Scroller can scroll text from the right to the left and from the left to the right. Text styling can be customized easily in module parameters. 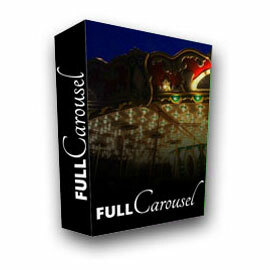 This is an advanced version of our popular free module with many new features. In addition to the image rotation mode (improved in pro version), we've added the Joomla articles rotation mode. 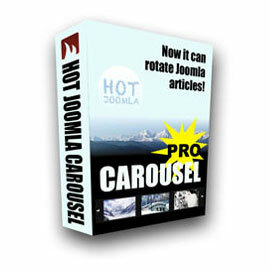 The module takes articles from the categories of your Joomla site and rotates them. Also, you can pick articles of your choice manually. 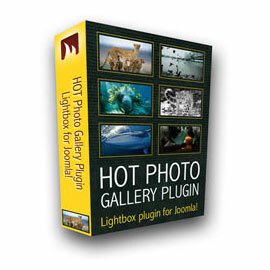 If you want to insert some photo galleries into the content articles of your Joomla site, the Hot Photo Gallery plugin is all you need! This plugin creates the thumbnail images and slideshows automatically from the collections of your photos. 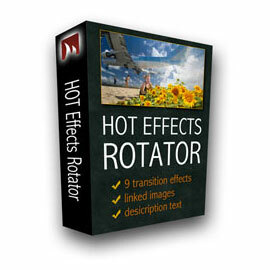 This responsive module is a simple but powerful image rotator module for Joomla. 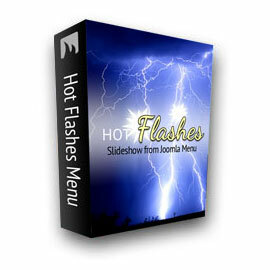 It makes slideshow presentations with selection of 13 transition effects. It's possible to add internal or external links for each image in rotation. Also, you can insert description text for all or some slides. Spice up your website with easy-to-use responsive module!